If we’ve learned one thing about 2013, it’s that Americans are sick to death of medical overspending and fraud that’s bankrupting us out of millions in taxpayer dollars! Why should we be asked to give up so much, when so little is being done to root out blatant corruption and waste? Every once in a while, we see a few great stories of fraudsters who were busted by officials. These tales give us a sense of satisfaction that justice is being served — but also remind us that it’s important to do a little digging and find health care providers worthy of our trust. Is your foot doctor a crook? According to the Berger and Montague whistleblower attorney blog, a Bronx and Queens area foot doctor recently settled a False Claims Act case for over $1 million. Dr. Stephen E. Ginsberg pleaded guilty to defrauding Medicare by submitting false claims, including costly chemical cauterization procedures and nerve conduction studies that were never performed. In another case, Miami podiatrist Dr. Arthur C. Haspel was sentenced to 21 months in jail after violating an order prohibiting him from collecting Medicare and Medicaid payments. He had been previously sentenced for unlawful distribution of hydrocodone in 2002 and was therefore excluded from participating in the Medicare program. Yet, he continued to provide services to Medicare patients from 2005 to 2009 and bill the government for these services. He claimed “other doctors” were providing the services — but in reality, they were forced to pay kickbacks to Haspel until a whistleblower stopped him dead in his tracks. Over $80 billion is lost to health care fraud each year. – A Fenton, MI podiatrist was sentenced to 55 months in federal prison for $1.6 million in billing fraud. – A Long Island podiatrist was arrested for writing hundreds of oxycodone prescriptions without cause. – A Milwaukee podiatrist had his license suspended after charging patients $2 a piece for Band-aids and numerous other instances of egregious over-billing. – A Louisiana podiatrist is being sued for medical malpractice for allegedly performing surgery on a foot that had been traumatized by prior chemical treatments and causing painful post-operative complications. Surveys reveal that many doctors have dubious morals these days. The key is to ask the right questions of a prospective podiatrist and find someone you feel comfortable with. 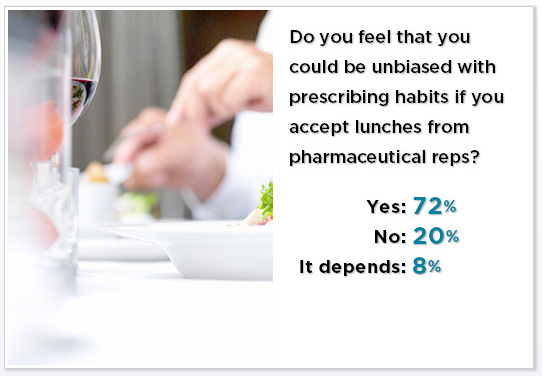 – 34% of doctors would prescribe a fake treatment — “if patients wanted it”. – 1 in 10 doctors would not tell patients about a fatal illness if it would dampen their spirits. – 23% of doctors would perform an unnecessary surgery to avoid a possible malpractice suit. – 25% of doctors say they would either lie to insurers or “consider lying to insurers” about the severity of a patient’s situation to get them to cover a procedure they thought necessary. Not All Doctors Are Crooks! – Visit the American Podiatric Medical Association website to search podiatrists in your area. – Check out the American Board of Podiatric Surgery. For a small fee, you can obtain a podiatrist’s education credentials and find out if there are any insurance claims filed against him or her. – Ask a friend, coworker or relative for a referral — or for names you should avoid! – Ask your primary care physicians. Often doctors “hear things” and have the inside scoop on their colleagues. – Search HealthGrades and Angie’s List for podiatrist reviews. Don’t be afraid to interview a few different podiatrists to find someone you are comfortable with. The Center for Podiatric Care and Sports Medicine in New York City is pleased to offer a wide selection of ethical, educated, top-caliber podiatrists to take care of you.